EndoFlex Vitality Essential Oil supports a healthy endocrine system. 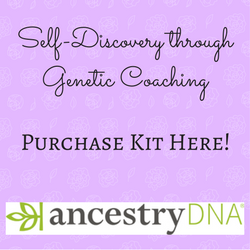 Take internally by placing in a capsule or add to your favorite beverage or tea. This oil is part of the Vitality Dietary Essential Oil Collection that my be used to support wellness goals when taken internally*. Use EndoFlex Vitality along Thyromin a wonderful balanced formula that maximizes nutritional support for healthy thyroid function. This is a fun and easy reference guide for EndoFlex Vitality Essential Oil Blend. It will tell you how to use our oil blend and what to use it for. It will also provide you with some fun tips and testimonials! Want to Purchase Therapeutic EndoFlex Vitality Essential Oil? Geranium Essential Oil (Pelargonium graveolens) Used traditionally to support the circulatory and nervous systems, a great deal of its strength lies in its ability to revitalize body tissues*. Spearmint Vitality Essential Oil (Mentha spicata) Rich in carvone and d-limonene. Blend with Peppermint oil for digestive system support*. May support respiratory health*. Sage Essential Oil (Salvia officinalis) Sage Essential Oil has been recognized for its ability to strengthen vital centers of the body and to support metabolism*. It is helpful for supporting the respiratory, reproductive, nervous, and other body systems. Myrtle Essential Oil (Myrtus communis) is supportive of the respiratory system, it has been researched for its effects on glandular imbalances*. Nutmeg Essential Oil (Myristica fragrans) is an energizing oil! It also supports nervous and endocrine systems and prostaglandin balance*. German Chamomile (Matricaria recutita) made from german chamomile flowers contains chamazulene, a compound studied for its ability to support the body’s natural response to irritation and injury*. 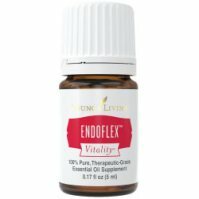 What are the Documented Uses for EndoFlex Vitality Essential Oil? Healthy endocrine system support; female system support*. May support a healthy lifestyle*. Want to Learn about EndoFlex's Emotional, Spiritual and Other Uses? Then go to the Endoflex page! Dietary Supplement: place several drops in capsule with olive oil and take internally. (50:50 dilution-one part essential oil: one part vegetable oil). Place in favorite drink recipe. Can this Oil be Used for Animals? Yes. Always start slow. With a small dog or cat use a toothpick amount to start. (Dip toothpick in bottle to get that amount). What are the Safety Precautions? EndoFlex essential oil should not be used for children less than 18 months of age. Additionally, it should be used with caution by those who are susceptible to epilepsy. Children under 6 years old should not use EndoFlex as a dietary supplement. Do you find a drop overwhelms the flavor? Then dip a toothpick in the oil and stir it in your drink to use a small amount.